You can now get fresh poke and ceviche from chef Ulises Pineda-Alfaro (formerly of Plan Check) and Wonny Lee (Hamasaku) in an unassuming little shop in a Palms strip mall. The small eatery is painted in bright yellows and blues, invoking a surf vibe while serving up Hawaiian and Mexican seafood. 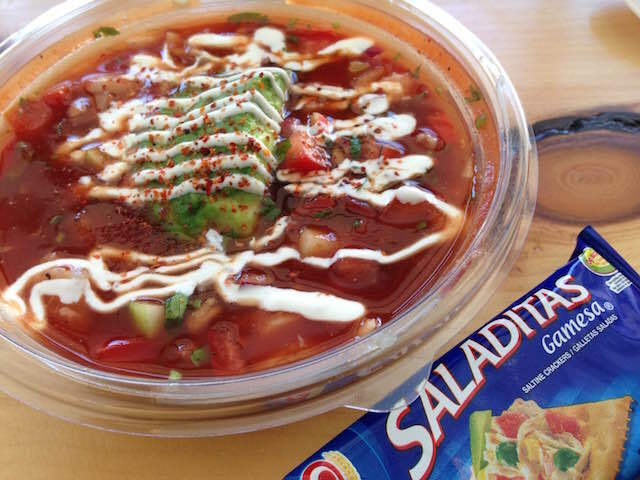 You can get a variety of chef favorite bowls with homemade sauces, or you can build your own. If you&apos;re making your own bowl, you can put tuna, spicy tuna, salmon, albacore or tofu on top of white or brown rice, mixed greens, seaweed salad or organic baby kale. Then, choose among carrots, cilantro, cucumbers, corn and other veggies and finish it off with housemate sauces like garlic ponzu or creamy sesame, and toppings like fried garlic and pickled ginger. But if you feel like allowing someone to make your decisions for you, there are some standout dishes, too. 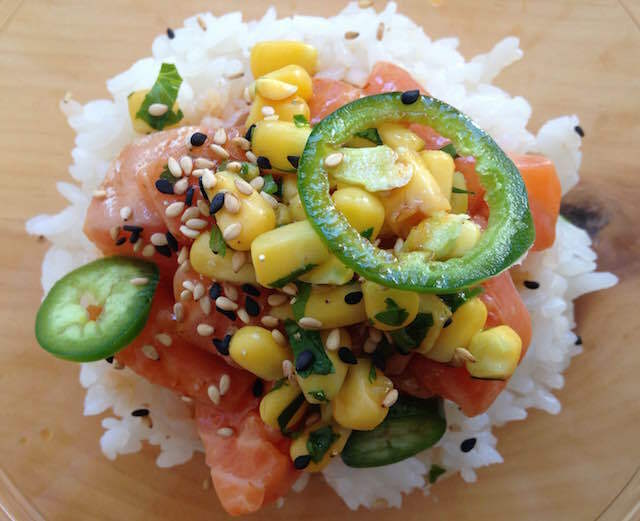 We like the Wiki Salmon, made with spicy sesame dressing, green onion, cilantro, corn, jalapeño and crispy shallots. The Aloha Albacore is also a good choice, topped with garlic ginger sauce, cucumber, crispy onion and pickled ginger. And for ceviche, the Ensenada Cocktail de Mariscos is a bright mix of shrimp, octopus, surimi crab, avocado, cucumber, pico de gallon and lime aioli in house-made coctel sauce. You&apos;ll also get a package of saltines to scoop it all up with. Every dish is light and refreshing, and they do not skimp on the fish. You can wash it down with a refreshing Hawaiian pog, which is a blend of passion fruit, orange and guava juices—hence the name. Tikifish&apos;s adds pineapple, too.